Big Jay, an orphan from the magical land of the Kaw, is the big man (bird) on campus. While cocky and intimidating on the outside, he really just acts like a typical college kid and has a great sense of humor. Big Jay mentors his best friend, Baby Jay. 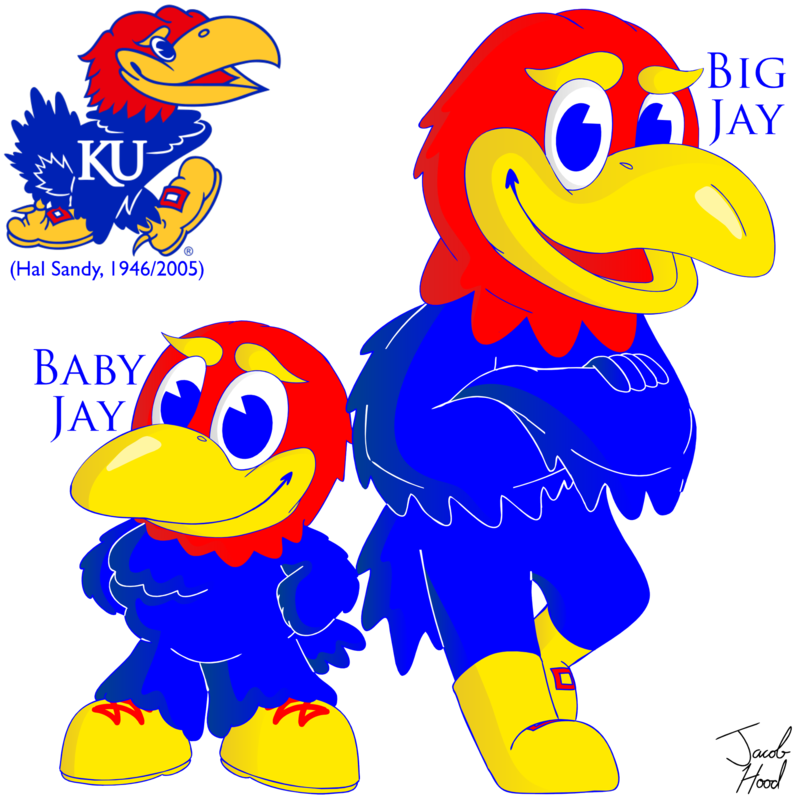 Baby Jay, also an orphan from the magical land of the Kaw, is a three-year-old Jayhawk. She is sweet, mischievous and always into everything, just like any other three-year-old. The world is her playground. Baby Jay is mentored by her best friend, Big Jay. Can you tell me how to get a hold of Jacob Hood. I like the Baby Jay and would like to talk to him about use of the image for a project I am working on.